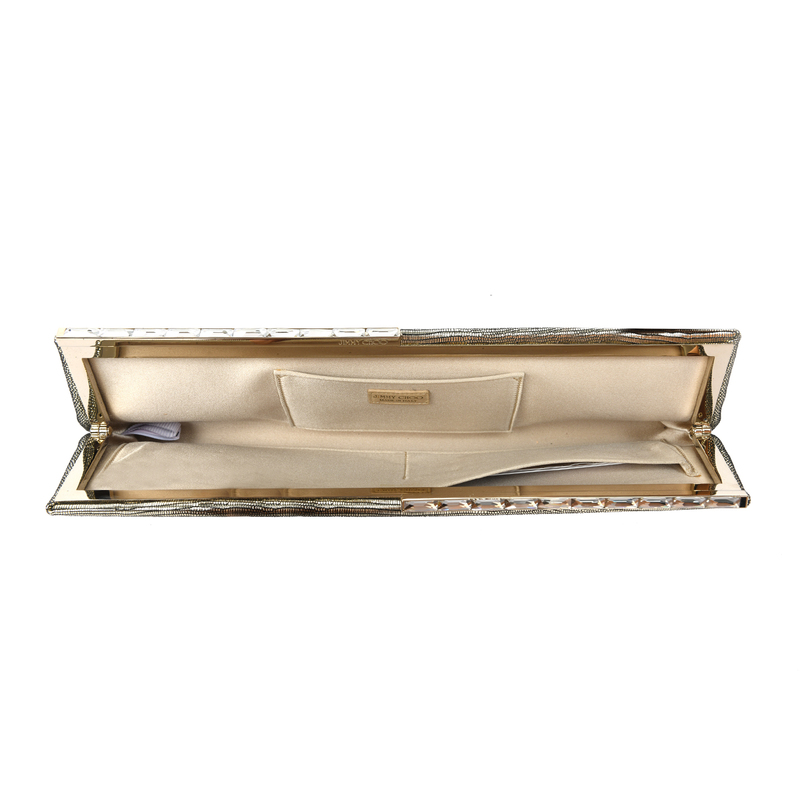 Categories: Bags, Clutch and Evening, WOMEN. 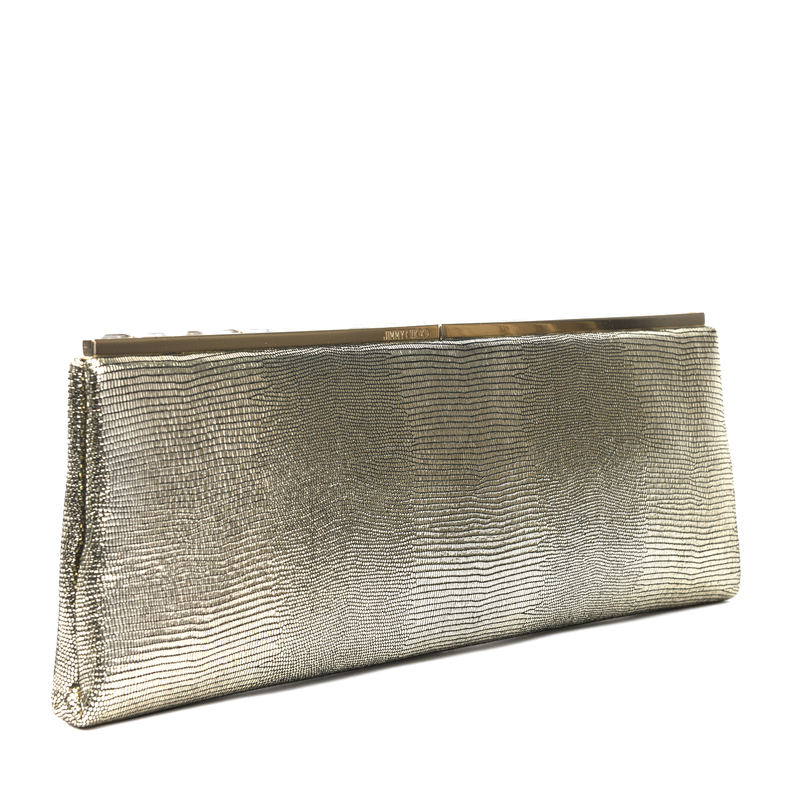 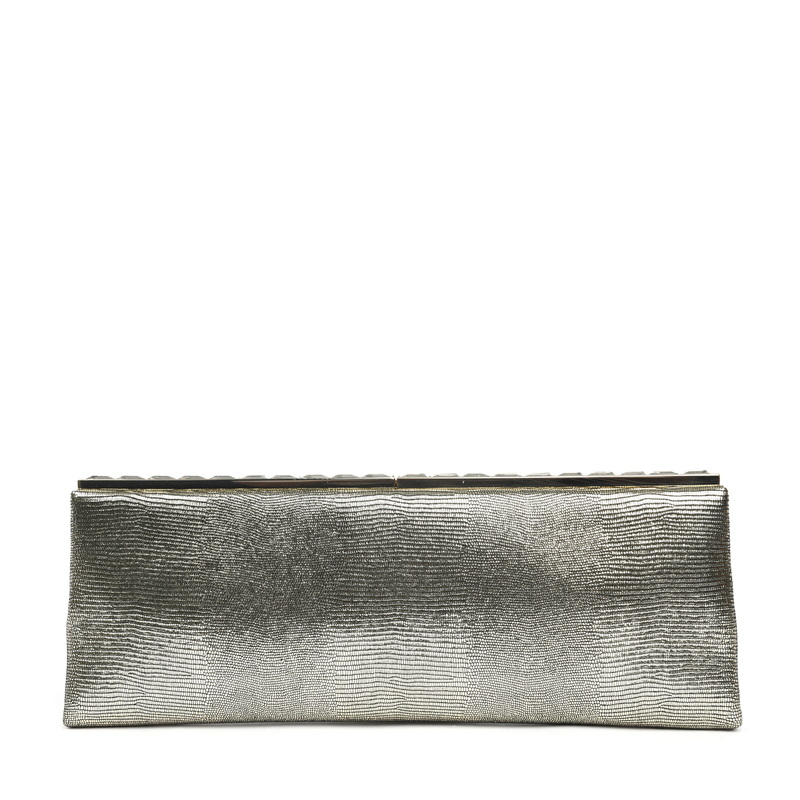 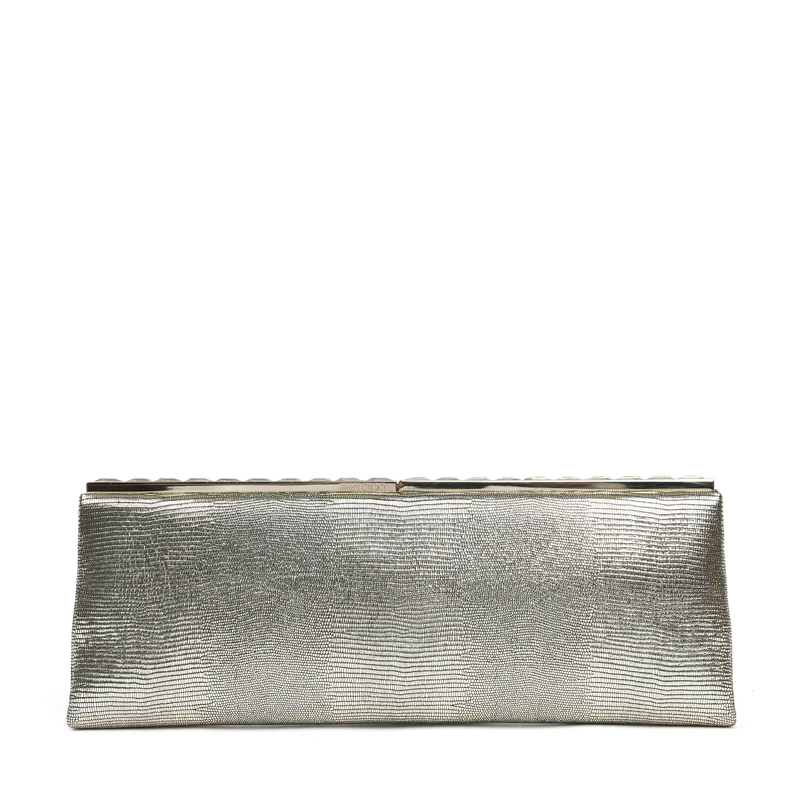 Jimmy Choo Ciggy clutch bag featuring metallic snake-embossed leather in gold. 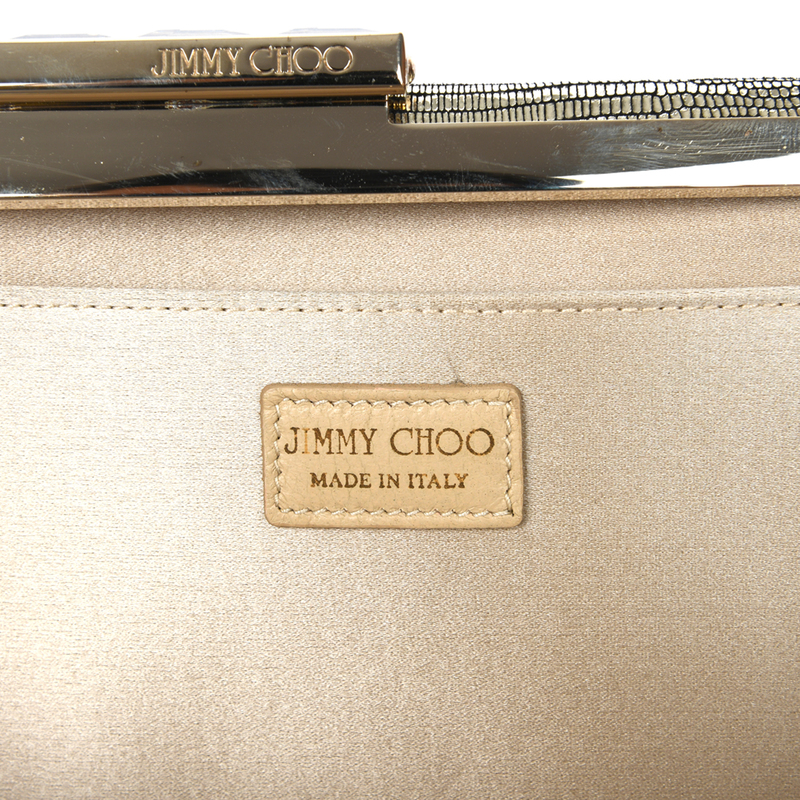 The top clasp closure is embellished with gorgeous crystals adding glamour and glitz!